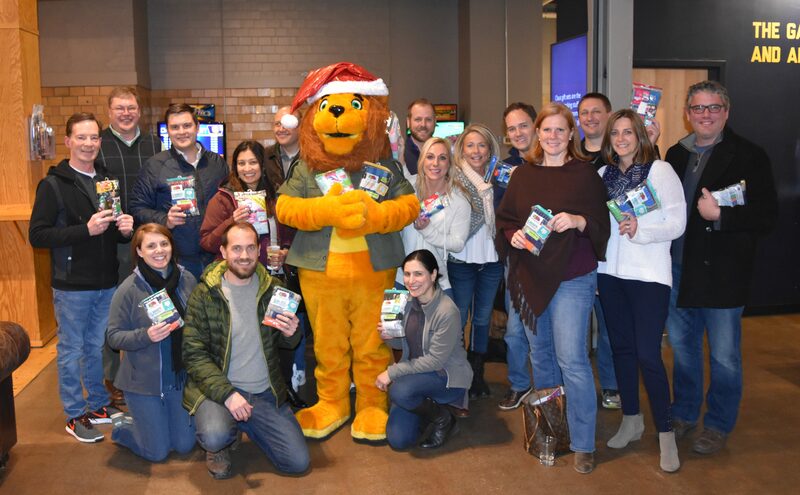 For the past three holiday seasons, our patrons and community have formed a winning team. 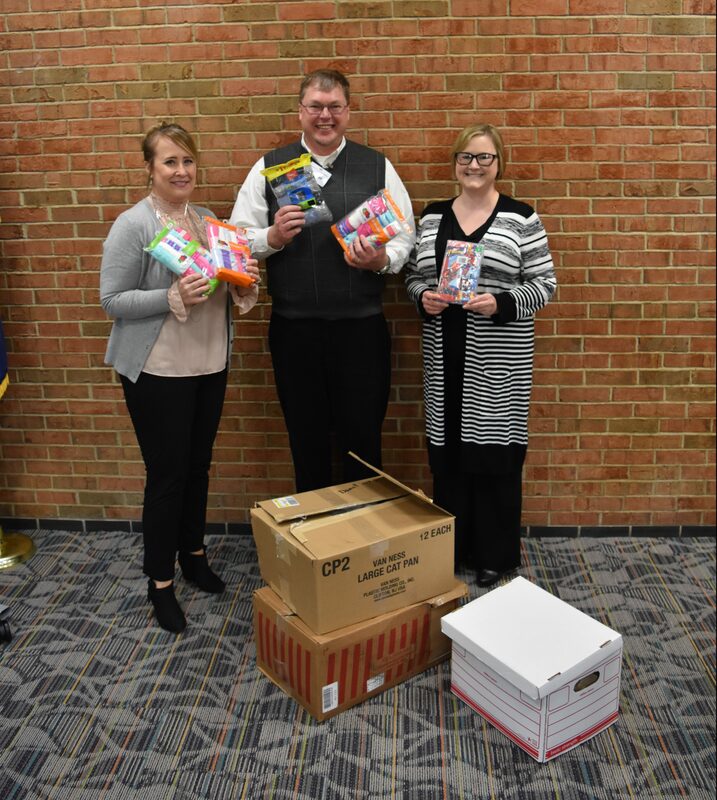 Together, we’ve provided underwear packages to Campbell County elementary schools, meeting a crucial need for Family Resource Centers’ emergency supplies. 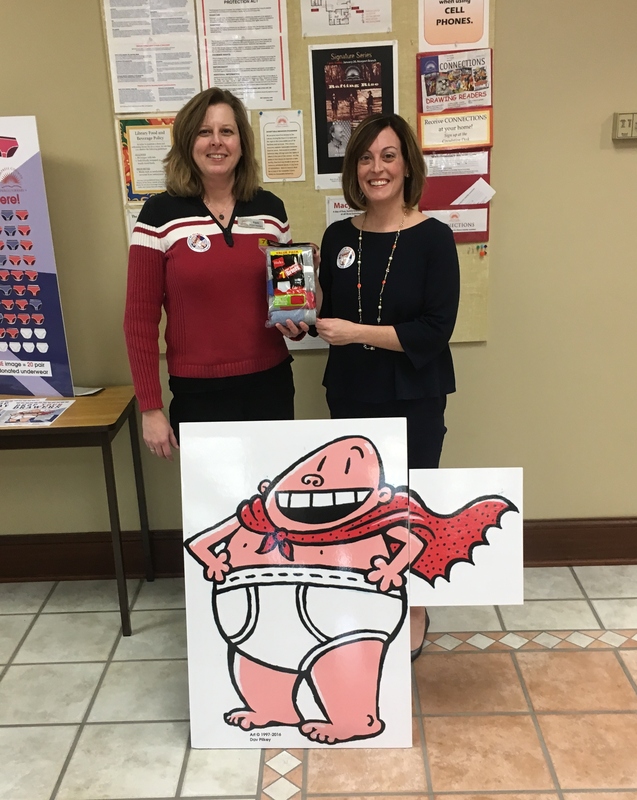 Include packages of new boys’ and girls’ underwear, sizes 4-16, on your holiday shopping list, then drop them off at your nearby branch for our Drop Your Drawers campaign Nov. 1-Dec. 31. The need is great. 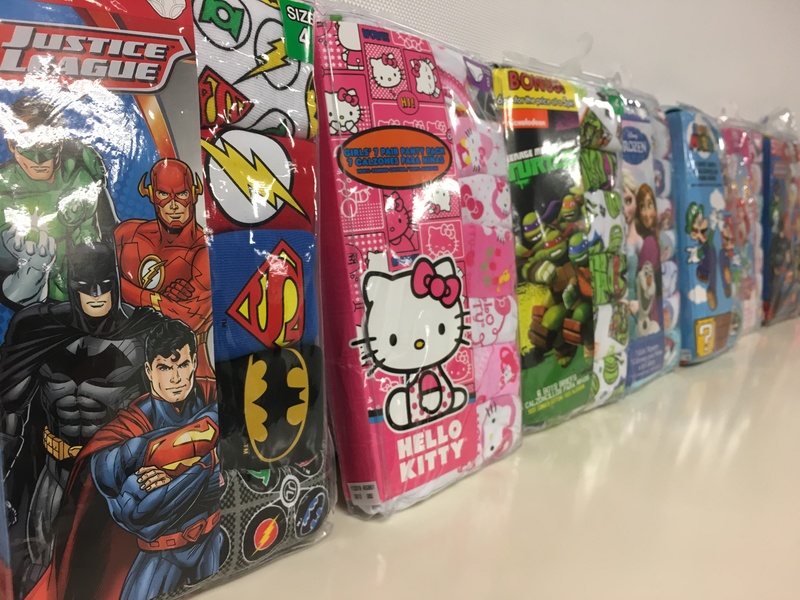 Schools are handing out 50 to 100 pairs each month to children who need clean underwear due to accidents at school or issues at home. 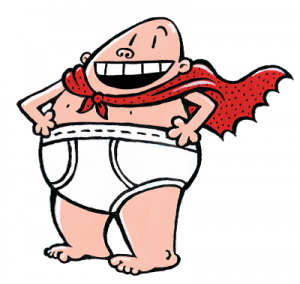 Because parents often are unable to bring fresh underwear to their children during school hours, children can miss valuable learning time in the classroom. 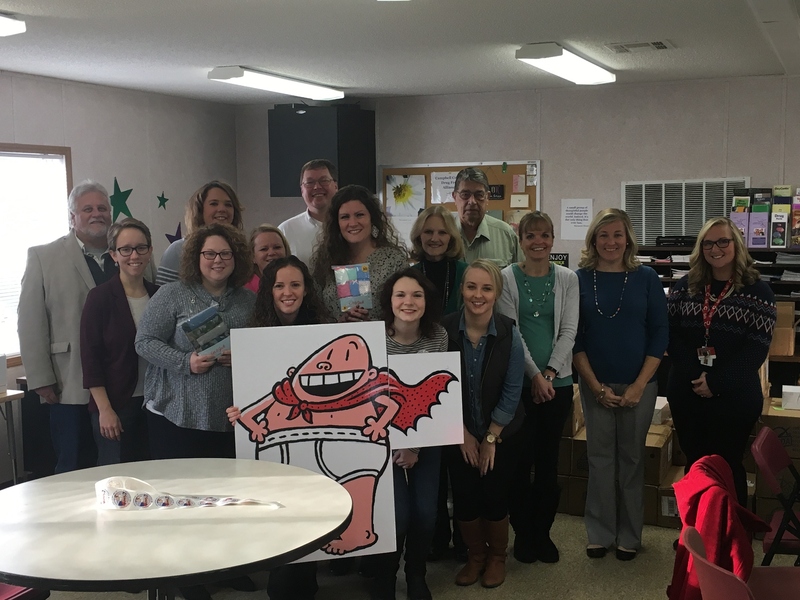 To learn more about the need for new underwear, watch our video with Campbell County Family Resource Center Coordinators below or on YouTube! 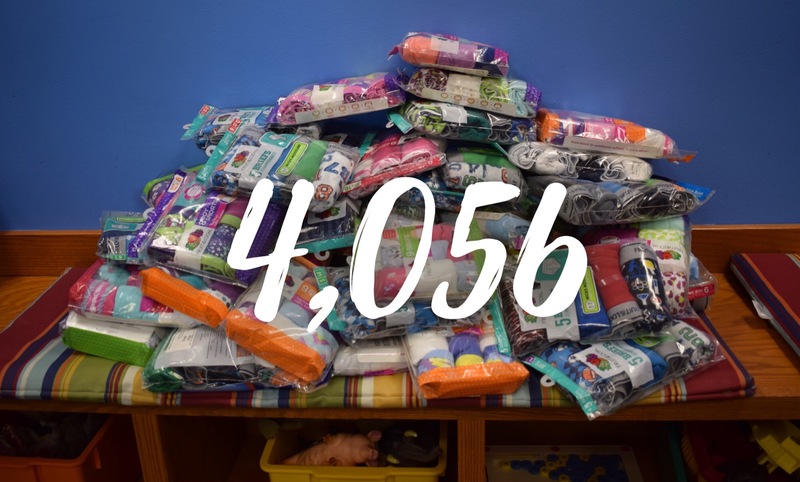 We collected 7,125 pairs of underwear in 2016 and 7,784 pairs last year. Help us break last year’s record by donating this November and December! Check out the video below to see how many donations we have received so far this year. Earlier this year, Dav Pilkey and his wife, Sayuri, sent us a gift package to thank us for using the “Captain Underpants” image in our campaign. 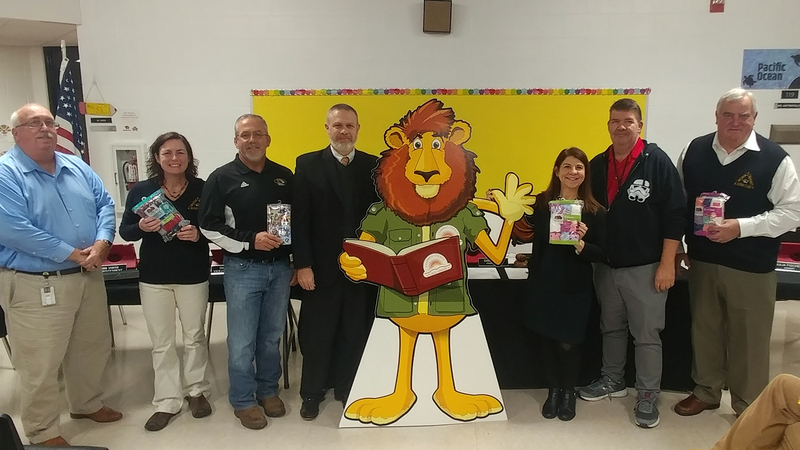 The package included books and plush toys. We’ve decided to share the gifts with you! 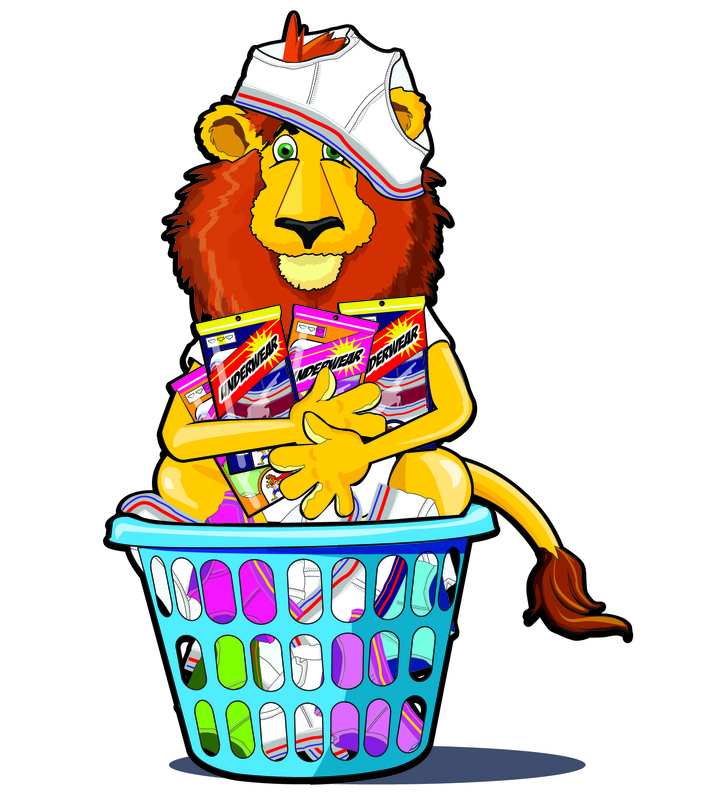 For every package of boys’ or girls’ underwear, sizes 4-16, that you donate, you will receive an entry slip to win an item. There will be one drawing per branch at the end of the campaign. The drawing is mainly for individual donations, but our “all-star” clubs and organizations will be recognized, as always, for their Drop Your Drawers generosity (see below). 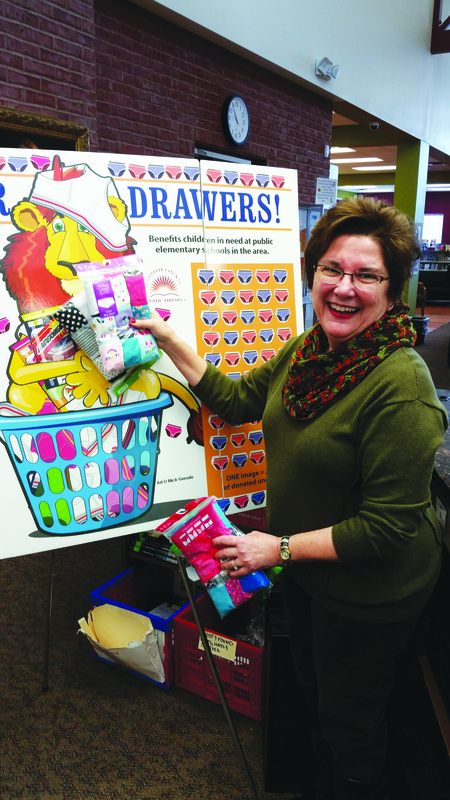 Catholic Health Initiatives donated 369 pairs. 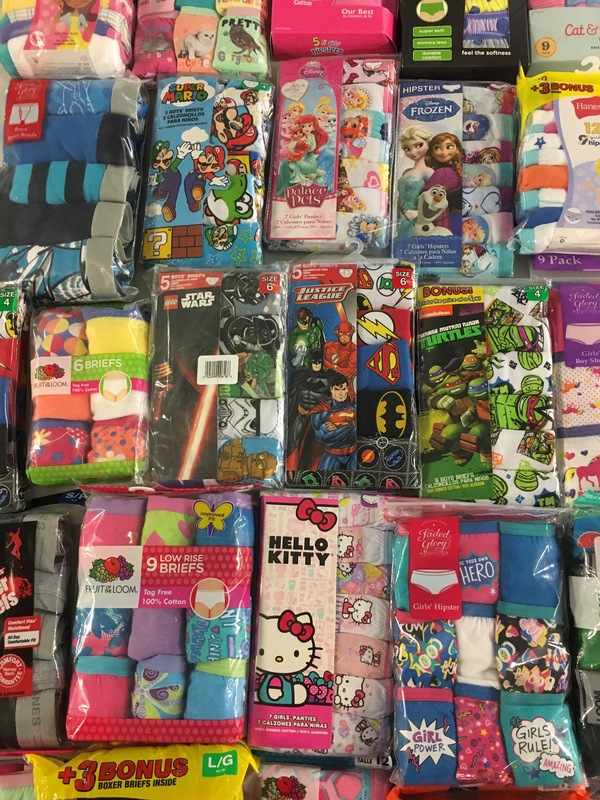 Cline’s Social Club donated 408 pairs to our Cold Spring Branch. They have donated 1,238 pairs since we started the Drop Your Drawers campaign three years ago. 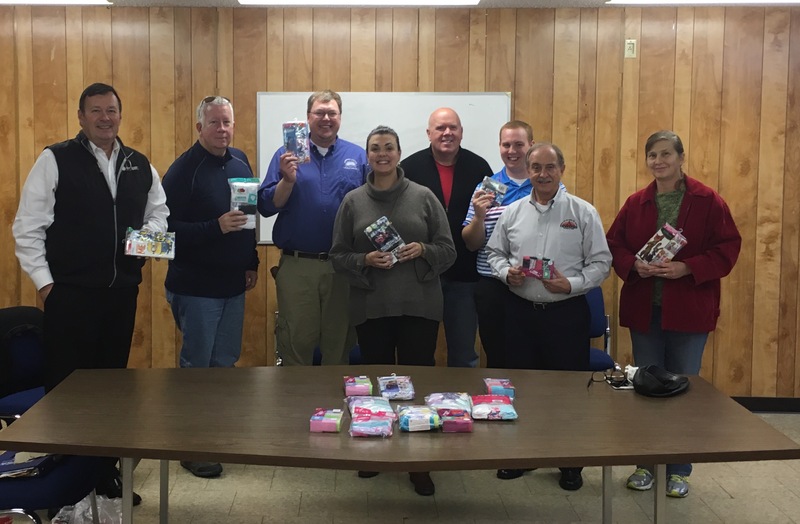 The Mary Ingles Chapter NSDAR donated 350+ pairs to our Carrico/Fort Thomas Branch. 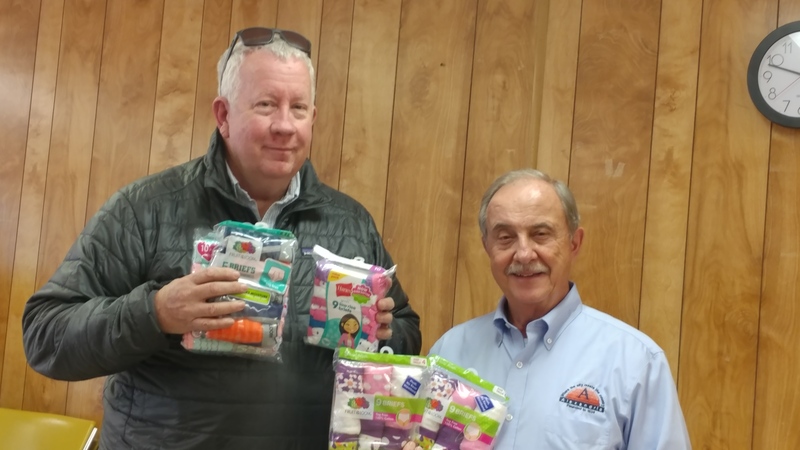 The Campbell County Kiwanis Club donated 30 pairs to the campaign. 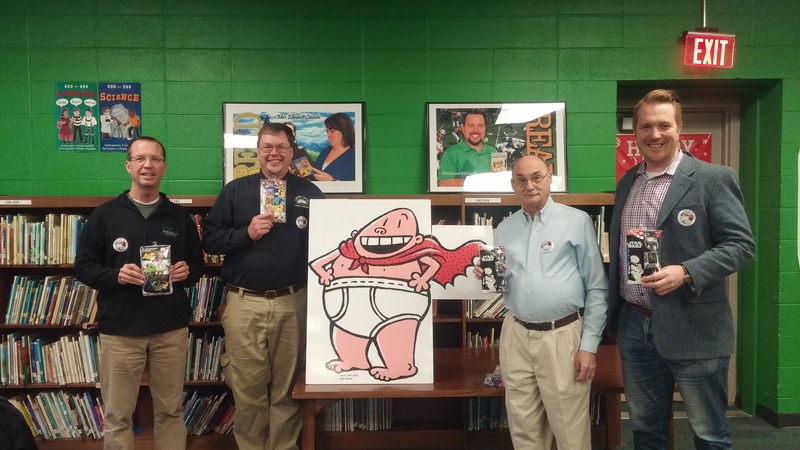 The Campbell County Drug Free Alliance supporting Drop Your Drawers. Kati Geoppinger and Mary Langguth from the Disabled American Veterans (DAV) organization donating to Drop Your Drawers. The Campbell County Democratic Party supporting Drop Your Drawers. Mrs. Jean Ritze donated multiple times to the campaign to make sure that our Newport Branch met and exceeded its goal. 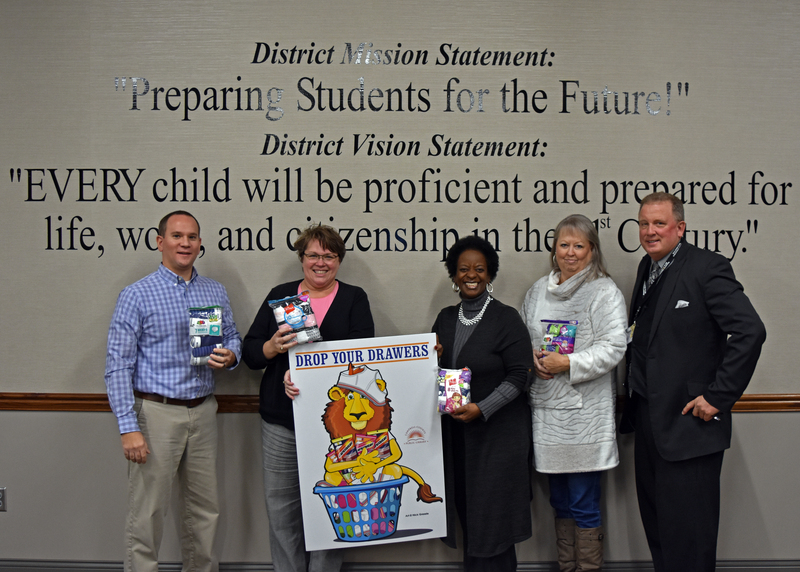 The Mary Ingles Chapter NSDAR donating 350+ pairs of underwear. 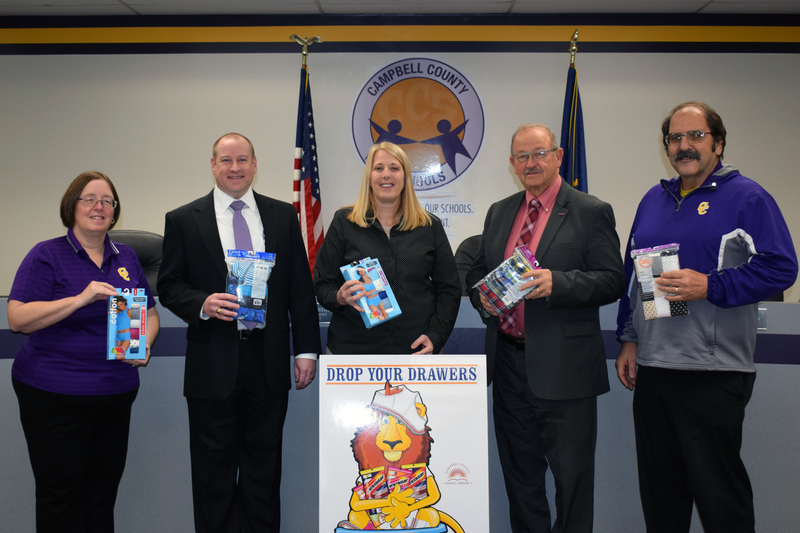 The Campbell County Kiwanis Club donating to Drop Your Drawers. 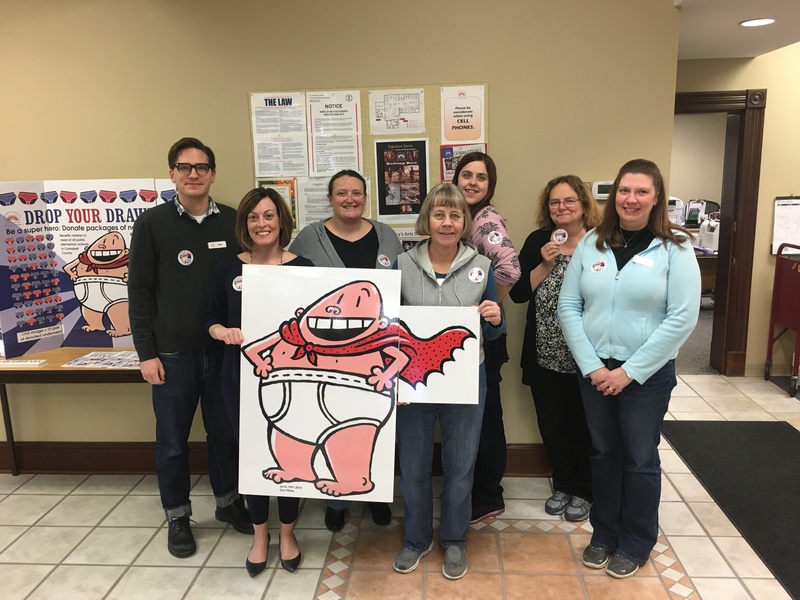 The Campbell Leadership Action Group (CLAG) supporting the Drop Your Drawers campaign. 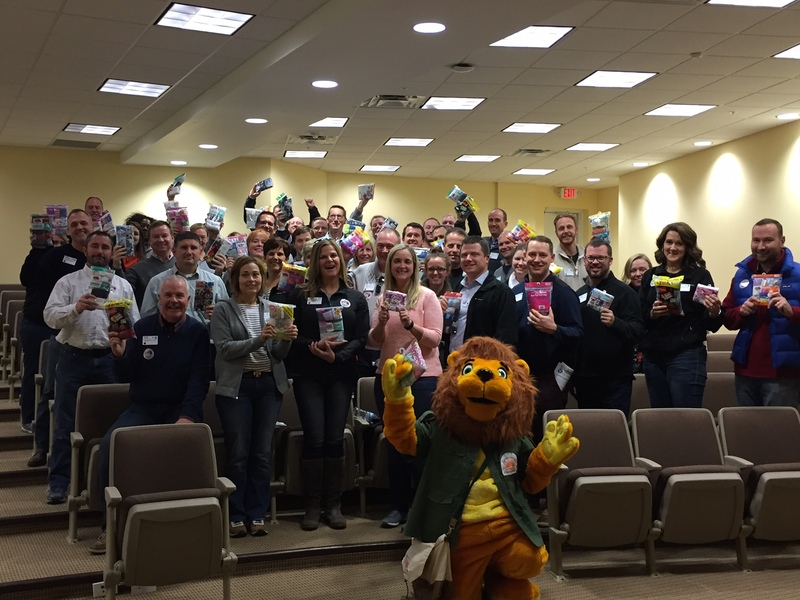 Leadership Northern Kentucky (LNK) Class of 2018 donating to the 2017 campaign. 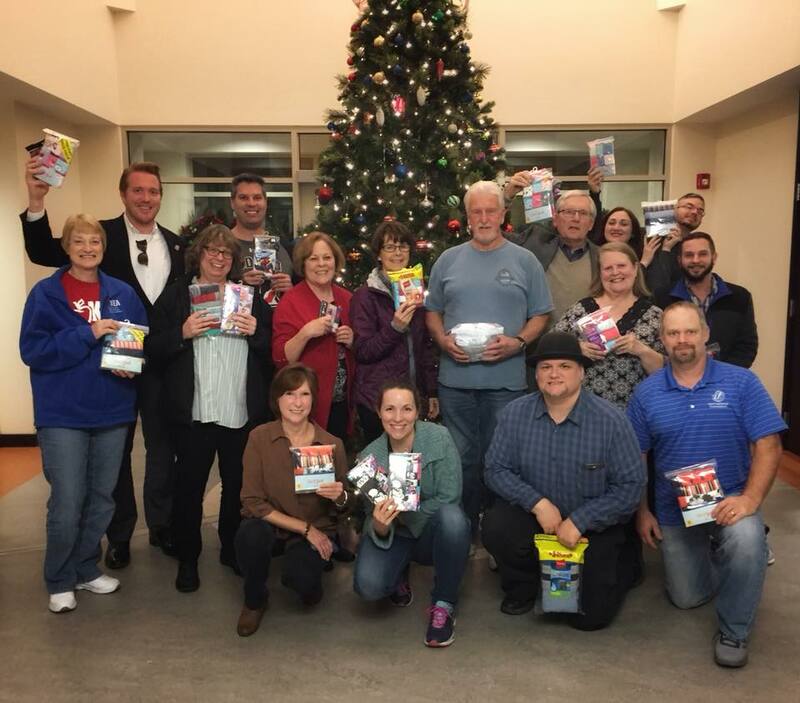 Cline's Social Club donated 408 pairs to our Cold Spring Branch. 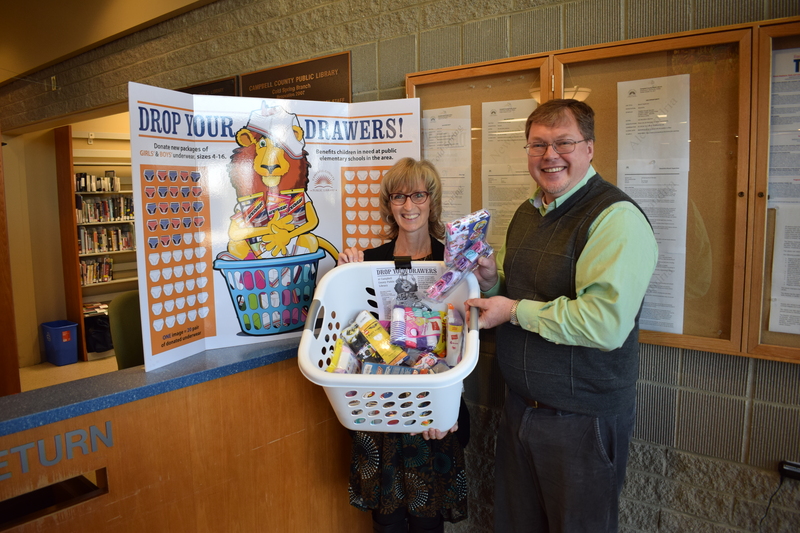 Mrs. Jean Ritze visited our Newport Branch on Dec. 29 asking if her donation of 120 pairs was tax deductible (it was and still is, by the way). When she was told the branch was 215 away from its individual goal of 2,000 pairs, she returned the next day with 237 more. 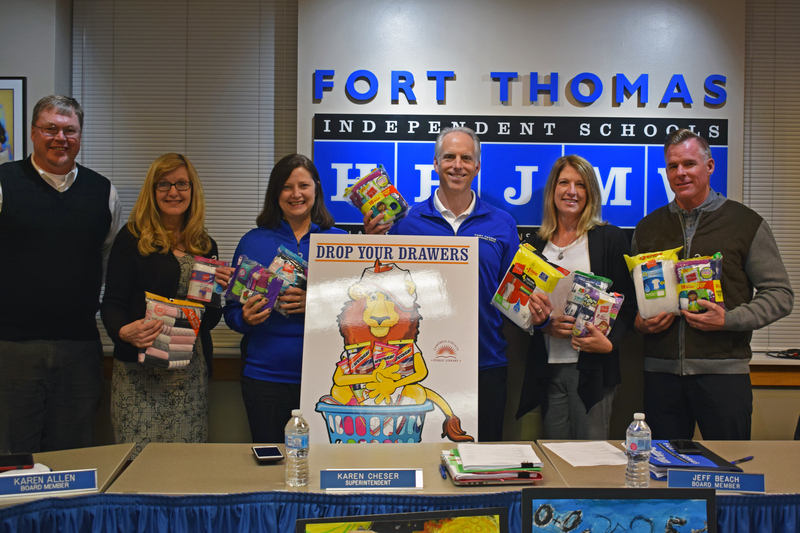 The Fort Thomas community donated $500 to buy new underwear. 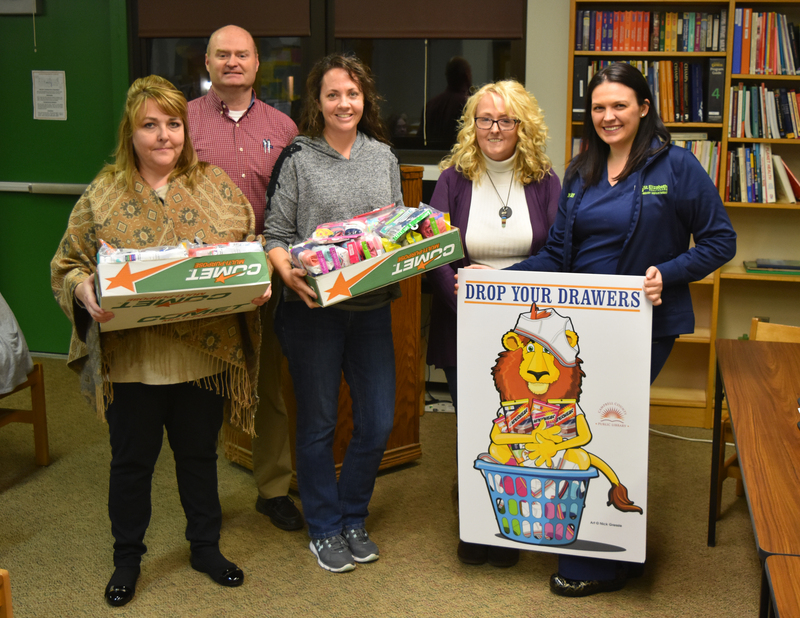 Lindsey Cook donated 124 pairs to our Carrico/Fort Thomas Branch. 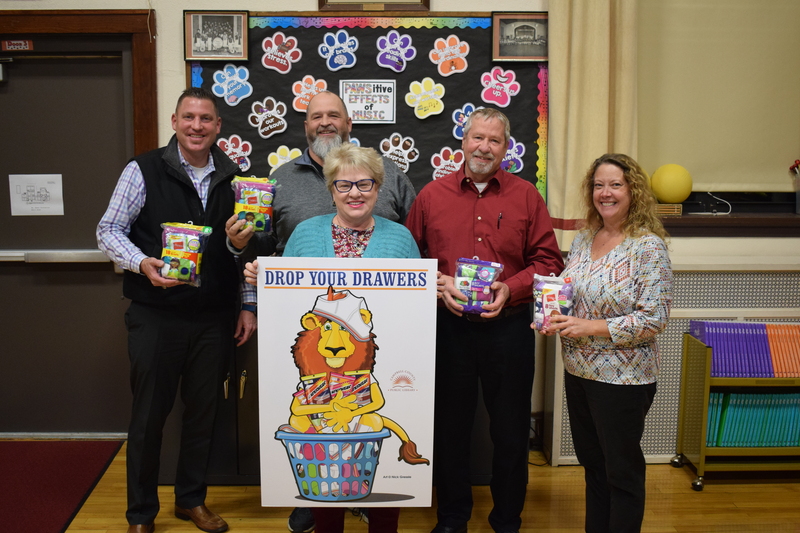 Elizabeth Isaacs donated 21 pairs to our Newport Branch, and she set a personal goal of 100 pairs for the 2017 campaign. 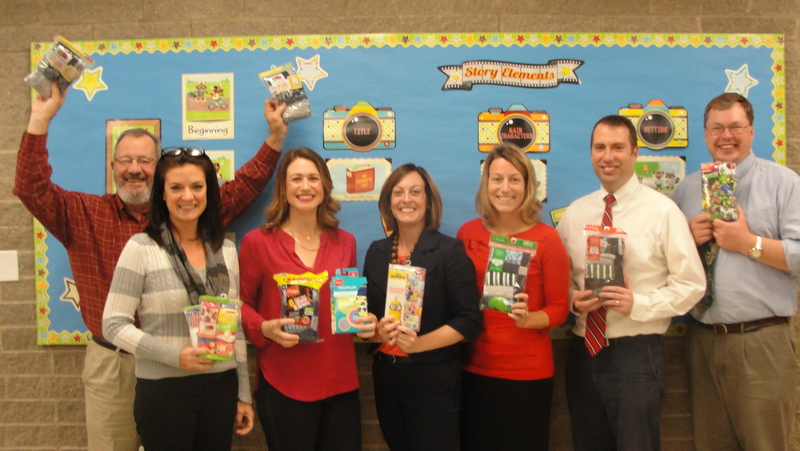 Cline’s Social Club donated 458 pairs to our Cold Spring Branch. 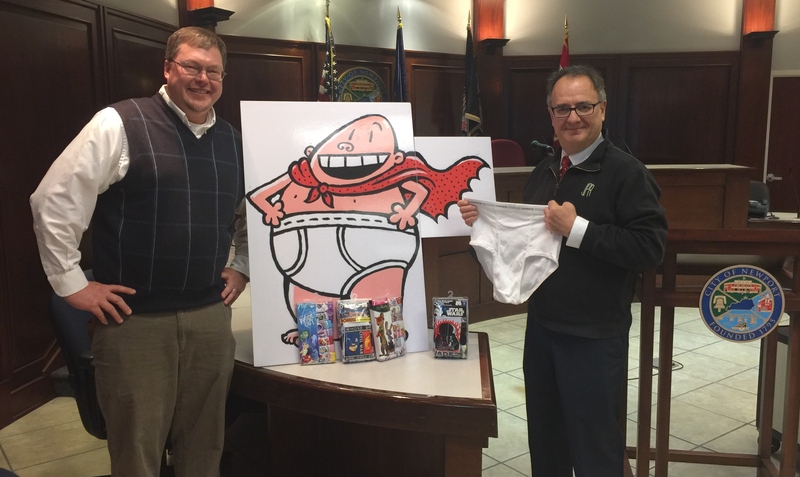 Campbell County Fiscal Court supporting Drop Your Drawers. 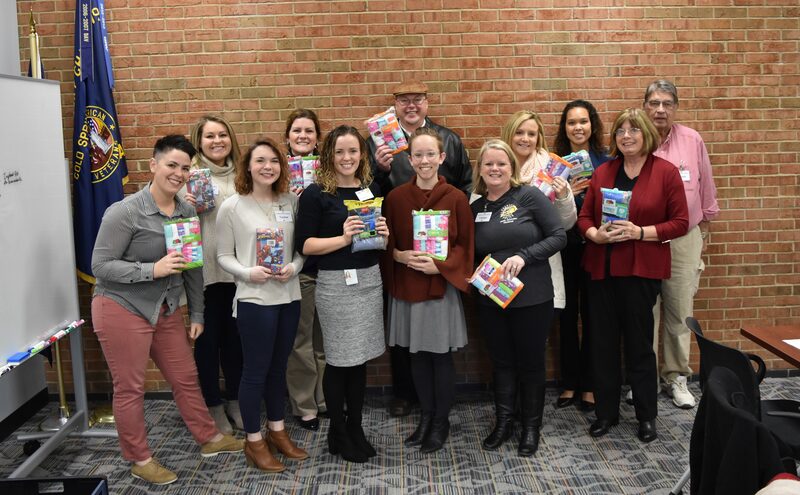 Leadership Northern Kentucky (LNK) Class of 2017 donated 521 pairs of underwear in December. 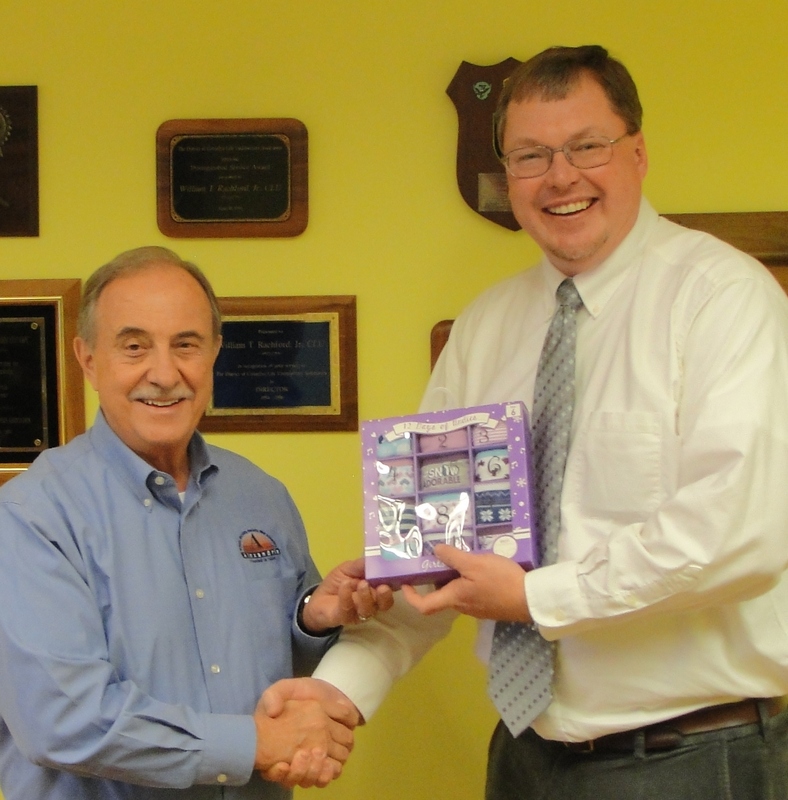 Alexandria Mayor Bill Rachford donating to the Drop Your Drawers campaign. 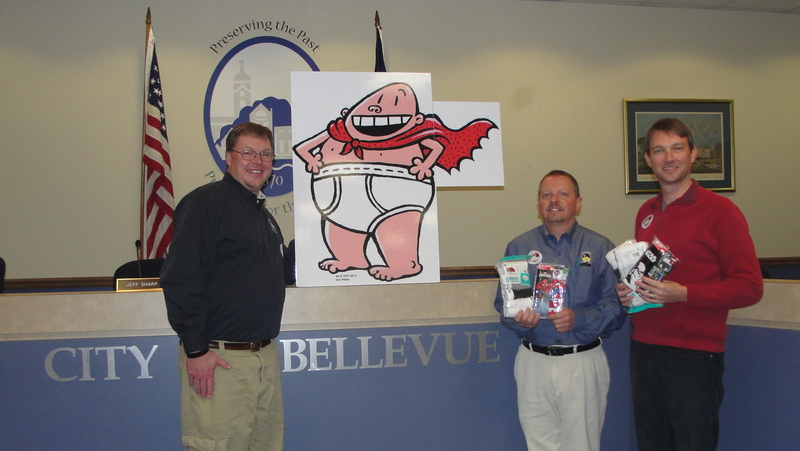 The Fort Thomas community donated $500 toward the purchase of new underwear. 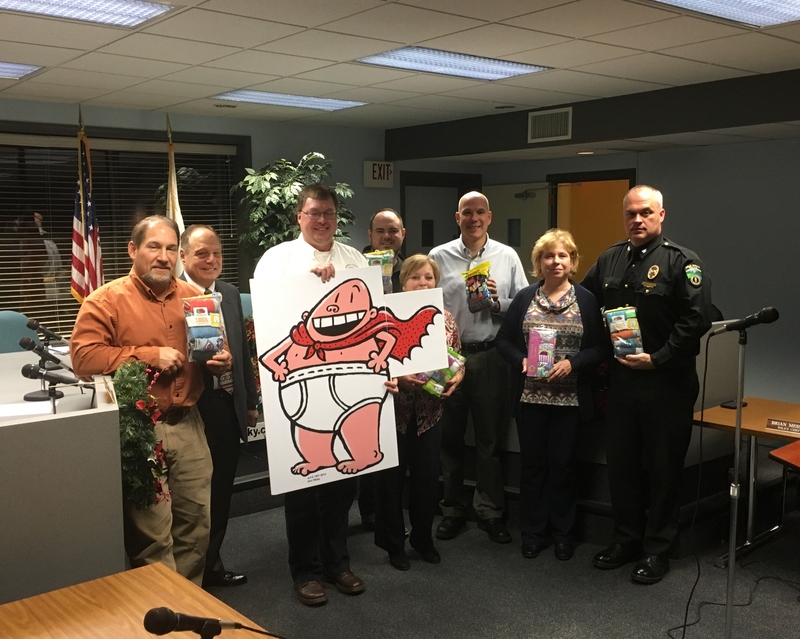 Cold Spring Mayor Angelo Penque and the Cold Spring City Council supporting Drop Your Drawers. 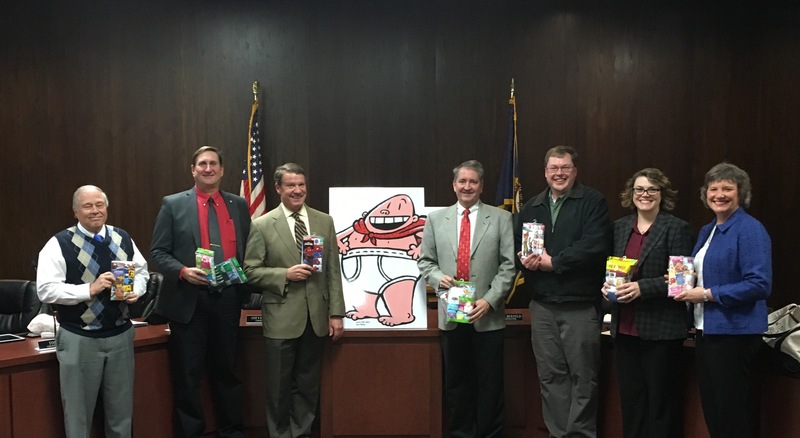 The Board of Trustees supporting Drop Your Drawers. 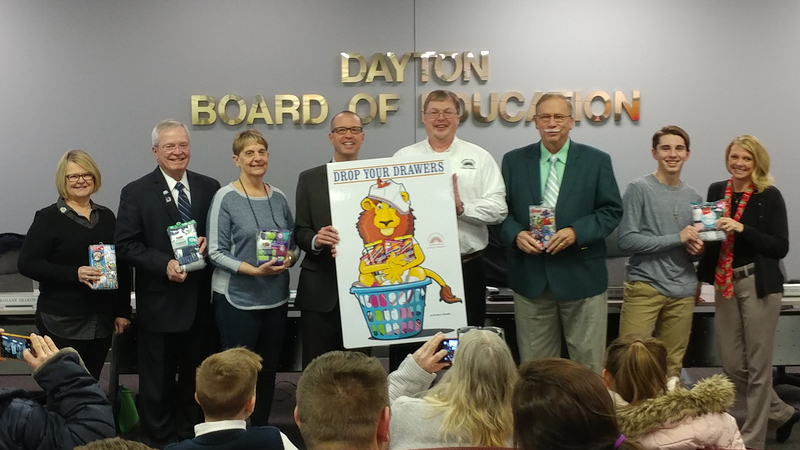 Dayton Mayor Virgil Boruske, Dayton Independent Schools Superintendent Jay Brewer and Dayton Council Member Ben Baker supporting Drop Your Drawers. Newport Mayor Jerry Peluso donating to Drop Your Drawers. 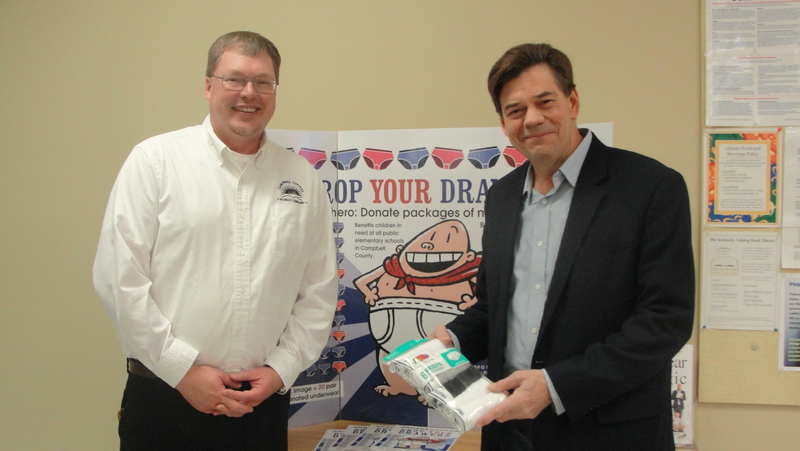 Fort Thomas Mayor Eric Haas donating to Drop Your Drawers. For answers to frequently asked questions, please view our FAQ Sheet.